FINDING A WAY TO LIVE OUT THEIR RETIREMENT IN THEIR DREAM HOME. • Jan and Jack live in a custom-built home that Jack built many years ago. They love their home, which is situated on a few acres of land. • Jan and Jack are both retired. Jan is very involved in the local community, acting as the Chair of the Seniors Association. • Although they did not want to worry about finances in their retirement, they still have a monthly mortgage to pay off and want access to some additional cash flow to help them with their daily expenses. • Their priority is to stay in their home, since Jan was already very active in the community and both have developed a social network within their community. • After speaking to some friends about their options, they were directed to Roland, a Business Development Manager at HomEquity Bank. Although their friends had different opinions about a CHIP Reverse Mortgage, both Jan and Jack wanted to learn more about the product. • Roland educated the couple about reverse mortgages. He explained everything about how they work, the benefits, disadvantages, and all of the misconceptions. He also showed them the calculations accrued interest over time. • After meeting with Roland, the couple decided to proceed with an application for a CHIP Reverse Mortgage. • Roland had Jan and Jack’s house appraised at $660,000 and they were eligible for a CHIP Reverse Mortgage of $287,000. • Jan and Jack used their reverse mortgage proceeds to pay off their existing mortgage. After they had some extra money to invest in solar panels. • Jan and Jack’s solar panel investment paid off. It provided them with an additional $500/month. 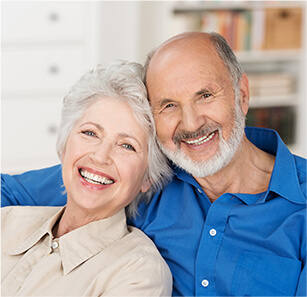 • Thanks to the CHIP Reverse Mortgage, Jan and Jack were able to pay off their remaining mortgage ($1,200/month) and the effectively improved their cash flow by a total of $1,700/month. ©2019 HomeEquity Bank. | All Rights Reserved.